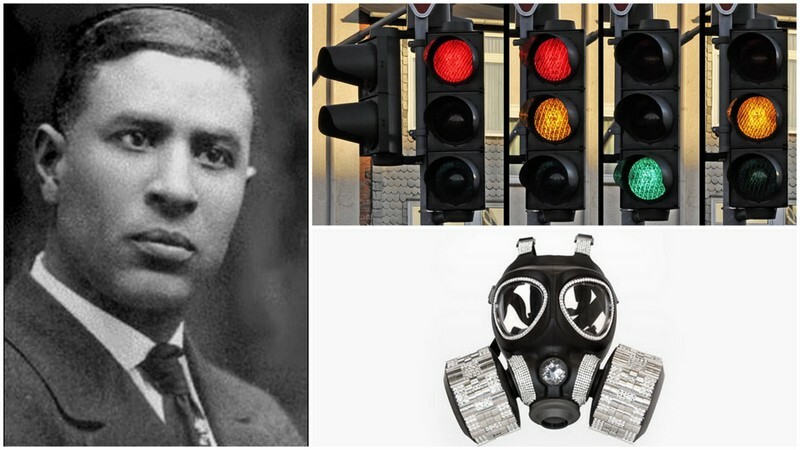 Black British History: Black influences on British Culture. This new book aimed at parents and teachers who would like solid information to teach their children Modern Black British History, and to exercise the historical skills required by the National Curriculum. 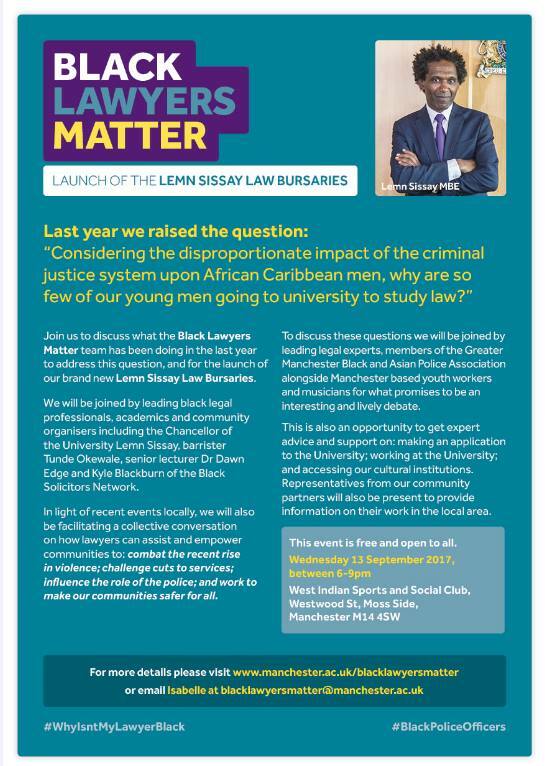 “Considering the disproportionate impact of the criminal justice system upon African Caribbean men, why are so few of our young men going to university to study law?” – THE LEMN SISSAY LAW BURSARIES. Keep checking the website the summer for SoW for a range of subjects. Rochester Grammar School in Kent- KS3 simulated slave auction exercise in History lessons. Utter disbelief! Racism and inequality in education has always been a underlying problem, however, its been a long time since I have witnessed an example as blatant as this.Instances like this are a justification for my research and dedication towards leading equality and diversity in education. 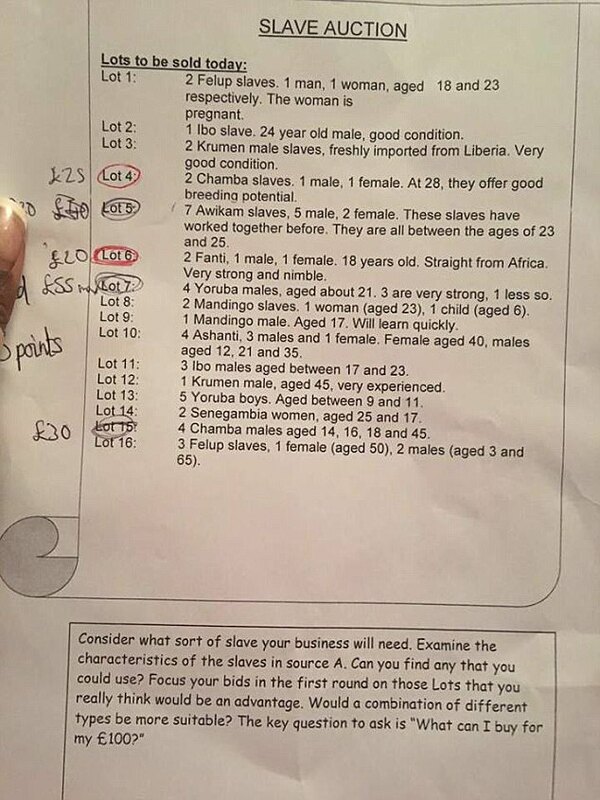 I will go as far to say that the Rochester Grammar School’s ‘Slave auction task’ are the actions of practitioners with racist ideals pushing the boundaries of education. This may be through unconscious or conscious biases that need to be addressed to ensure that racism is repudiated within education. It is imperative that equality and diversity training should be mandatory for staff and pupils to continue to educate those who lack basic common sense. Especially in the above circumstance!! Instances like this should be brought to the forefront and not be swept under the carpet like its ‘no big issue’. The test highlights your personal biases relating to issues such as gender, religion, race, skin colour etc. It is a good introduction for a whole school staff training to discuss issues relating to biases relating to discrimination in education. However, schools are at risk of using the tests as ‘edu-tainment’ – a standalone strategy to justify equality training within a school to adhere to guidelines set by the government. What could we start doing to ensure that equality and diversity is embedded in your schools policies and processes? The Government continuously lead educational change with the recurring rhetoric of autonomy and accountability. The academisation of English Local Education Authority (LEAs) secondary schools, influenced by neoliberal ideology rooted in education, (Saltman, 2014) is presented as a solution to increase educational outcomes and economic competitiveness (Bhattacharya, 2013). This assignment argues that the educational change propelled by the Government (academisation), has subjected school leaders to a version of constrained autonomy which has been overshadowed by maximum accountability (DfE, 2010a). This paradoxical combination has resulted in additional pressure and challenges for school leaders which has ultimately resulted in social segregation and school leaders taking extreme measures to adhere to the policy, becoming actors serving a neoliberal society. This paper investigates the policy rhetoric of ‘increased’ autonomy in relation to academisation. It also examines the impact and implications of increased autonomy and accountability on a macro, meso and micro level (Mcginity, 2015); and issues of social segregation caused by the academisation structure. It concludes by exploring issues relating to accountability and focusing on the impact of the national funding cuts in education and increased pressure through inspections and league tables, which have ultimately led to cases of school leaders taking drastic action to fulfil neoliberal quantifiable outcomes (Saltman, 2014). The fear of England trailing behind its global competitors in educational achievements has led to a rapid expansion of academies in the English secondary school system (Francis, 2015). In 2010, the secretary of state for education, Michael Gove, announced that all underachieving secondary schools would be converted into academies. This was stated in the 2010 education reform under the Conservative and Liberal Democrat Coalition Government (DfE 2010a), with the vision of forced academisation of all Local Education Authority (LEA) schools by the year 2022 (DfE, 2016a; 2016b; McInerney, 2016). Academies fit into a neoliberal educational structure, that focuses on a corporate business approaches to achieve educational outcomes (Saltman, 2014). Subsequently, the leaders of academy schools are granted increased autonomy and accountability, with the initial motive of combating underachievement and closing the gap between advantaged and disadvantaged students Gorard (2014) However, there is evidence that school leaders have been restricted to Government regulations therefore autonomy has become ‘contained and constrained’ (Keddie, 2015:6), presenting local actors leading academies in a precarious position. As discussed by Keddie (2015), the combination of increased autotomy and accountability has increased the performance targets, the achievement of which is fundamental for a school’s reputation. Consequently, there has been a rise in social segregation and inequality, as private actors are more likely to select schools and students from a high social economic background to adhere to those neoliberal targets set by the Government. This therefore increases the poverty gap that academy schools were initially designed to resolve (Gorard, 2014; West, 2014). The Academy act (DfE 2010a) was a part of a long-term vision of England competing economically in the global marketplace (Francis, 2015). However, there is of the lack of evidence to support the success of this educational reform (Mcginity. 2015). The overall aim of this assignment is to critically analyse both the Government, who are leading educational change through academisation, and how these changes impact local actors. Specifically, it will explore issues regarding the increased autonomy and accountability related to academisation. The first section will present a brief history into the Government’s agenda concerning academies and how this has led educational change, along with the associated implications of such changes. It will then investigate issues relating to increased autonomy after the academisation relating to macro, meso and micro positions (Mcginity 2015). It will particularly focus on Sponsored and Converter academies and the relationship of autonomy between private and local actors. Finally, it will analyse the implications associated with the increased accountabilities and pressures set by the Government for any academy school to become sustainable. Politicians in England are renowned for replicating successful policies and reforms across the world with the aim of achieving similar outcomes (Harris, 2009). Academies are an example of a neoliberal instilled reform, replicated in English education, as a solution to raising attainment and educational outcomes in underperforming schools (Purcell, 2011). The academisation of LEA schools in England has similar characteristics to the privatisation of schools in the USA and Sweden (Francis, 2015; Salokangas, 2014). Charter schools, for example, are a product of a neoliberal logic (Wermke, 2015), and a corporate approach which is focused on competition and privatisation (Saltman, 2014). 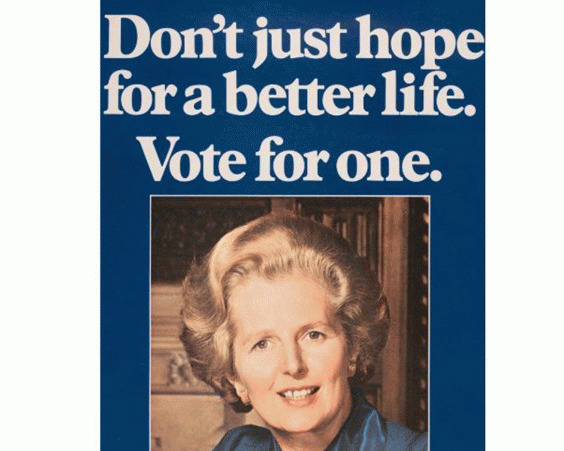 The introduction of neoliberal objectives into English Education began in the 1970’s under the Conservative administration lead by Margaret Thatcher (Glatter, 2012). This new approach was a direct response to the high amount of control that LEAs were perceived to have in education. Neoliberal objectives aimed to redistribute control of the budget and give autonomy back to schools (Higham, 2013). In 1988 schools became more autonomous when they were given the power to manage their own budgets and perform the functional tasks associated to operating a school (Higham, 2013). The Conservative party introduced autonomy as a neoliberal policy agenda for improvement, modelled on the success of US charter schools (Bhattacharya, 2013). Subsequently, the privatisation of education was introduced, as businesses began sponsoring schools (Gunter and McGinity, 2014; McGinity, 2015). New school models emerged such as; Local Management Schools, City Technical Collages (Walford, 2014) and Special schools. In 2000, during the following Labour party administration, ‘Mark I’ City academy independent schools were introduced (Courtney, 2015c:808), in the form of a pilot scheme designed to raise achievement within inner city disadvantaged schools. School leaders now possessed greater freedom and increased agency through ‘corporatized autonomy’ (Courtney, 2015c:800) when compared to the constraints of LEA control. Between 2002 –2006, the second phase of academies (Mark II)­ were introduced (Courtney, 2015c). Subsequently, ‘City Academies’ were remediated to ‘academies’ (HM Gov, 2002) where the scheme was implemented outside of the cities (Walford, 2014). Now all schools had the opportunity to convert to academies, shifting the focus away from disadvantaged inner city schools (Woods et al, 2014). And towards increased accountability (Keddie, 2015) and autonomy McGinity (2015) for all schools. This led to a change in structure and the development of Mark III academies, as outlined in the 2010 Academy Act (DfE, 2010). The Act was passed by a coalition Government with the intention of giving academies increased autonomy by liberating them from the LEAs (Keddie, 2015). The academy programme has had mixed success throughout the different phases (Chapman, 2013). Conversely, scholars have reported that academies are an example of a ‘political fault’ West (2014:63), where unrealistic timelines were set to improve failing schools through academisation (Francis, 2015, Glatter, 2012). Consequently, LEA schools were outperforming academies. Data published by the Local Government Association (2017a; 2017b) and the BBC (2017a) report that 91% LEA schools are Ofsted graded ‘good’ or ‘outstanding’ compared to just 85% of academies (Chapman, 2013). The Government have made it difficult to scrutinise academies (Gunter et al, 2010), subsequently, they now appeared to apply a bias towards only attributing academy type schools as successful (Gunter and McGinity, 2014; Morris, 2011). This has led to opposition from the Local Government Association, who argue for the Government to remove bureaucratic barriers to enable LEA schools to become an educational improvement partner (BBC, 2017a). A report from the Academies Commission (2013:35) states that ‘underachievement maps closely on to social inequality’. This is an ongoing issue relating to England’s education system that has not been addressed sufficiently. In 2005, Gorard (2005:376), investigated the pilot scheme city academies programme and argued that educational changes made to address social segregation is superficial and should ‘logically mean an end to the academy itself’. This report emphasises issues of social segregation that are still present in academy schools today Gorard (2014). As noted in the previous section, freedom and autonomy have been the dominant rhetoric of the Government in leading educational change (Glatter, 2012) and were a key supporting argument to justify the implementation of the Academies Act 2010 (Salokangas, 2014; DfE, 2010a). Adopting a similar position, Machin (2011) maintains that schools with greater autonomy have an increase in educational outcomes. As schools became more autonomous, there was the expectation that educational outcomes would improve. Subsequently, academies are now in the position to control both their own budgets and daily management (Courtney and Gunter, 2015a). Paradoxically, despite increased autonomy, school leaders must still conform to Government requirements, through national inspection via the Office for Standards in Education (Ofsted) and the pressure to perform well against other schools (Higham, 2013:703; Muijis et al, 2008) The Government ultimately defines the aims and purposes of how academies operate, this has been characterized as Criteria power as discussed by Higham (2013) and ‘Control’ by Woods et al (2014:325). This presents a cliché in the form of a ‘controlled decontrol’ scenario (Francis, 2015:438), where local actors function with assumed notions of autonomy. Lewis and Murphy (2008:135 – 6) describe school leaders as being more like ‘branch managers than CEO’s’, and they are described as ‘local managers’ by Courtney (2015a: 396) further suggesting that autonomy is ‘institutionalised’ Bhattacharya (2015:95) therefore constrained by the Government (Glatter, 2012). Post academisation, school leaders benefit from increased autonomy and additional freedom in approaching the functional tasks of operating an academy. This is a significant change compared to the constraints presented by the preceding LEAs. Typical functional tasks include, customising the curriculum, agency, pedagogy and new freedoms to act in compliance with the academies financial handbook and recruit an effective team of teachers and leaders to hit the attainment targets set by the Government through educational policy documents (The Academies Commission, 2013; Papanastasiou, 2017; Education Funding Agency, 2016). This is an example of Operational Power (Higham 2013), discussed by Fidler et al (2007). The Academies Commission (2013) argues that educational leaders need to be focused on education, training and development for autonomy to be beneficial. It also states that a long and short term improvement plan is necessary to increase educational outcomes. Expanding networks by collaborating with other schools is essential in order to become autonomous. It is also vital for school leaders to investigate all aspects of educational leadership, especially critical and socially critical routes, illustrated by Gunter et al (2013). This is due to the increase of social segregation that negatively impacts learners from a lower social economic background, an inadvertence relating to the increase in autonomy as discussed by McGinity (2015). In England, only schools with academy status are entitled to sponsor underperforming schools that are eligible for intervention (BBC, 2017a; Jacobson, 2017; Gunter and McGinity, 2014). Academy sponsors are funded by the Government with the purpose of ‘leveraging money from state education budget into the private sector’ (Beckett, 2010: xxii). Therefore, declaration that a LEA school is a failure is essential to the academisation process (Saltman, 2014). Sponsored academies reside in a middle tier of hierarchy, described as ‘the area between the Government and schools’ by Woods et al (2014) illustrated in Gunter and Mcginity, (2014:305) summary of politics conversion process. Academy sponsors that have multiple schools in their portfolio are known as academy chains. These chains have recently been scrutinised for their focus of expanding in order to increase profit rather than to improve the schools within their portfolio (Bhattacharya, 2013; Academies commission, 2013). In relation to their governance, academies do have controlled power and autonomy (Keddie, 2015). However, the governed control resides with the central governance of an academy sponsor; this presents complexity to the level of autonomy that is distributed to educational leaders. Salokangas (2014) established that academy chains are heavily influenced by sponsors through a centralised policy which is distributed by a hierarchal top down structure. Funding and resources are shared between academies within the chain, further constraining the amount of control a school leader maintains. Conversely, Glatter (2012) argues that school leaders should focus solely on educational matters to prevent a role overload associated with autonomy. Justifiably, this could be manipulated as Criteria control (Higham, 2013) by private actors to implement constrained autonomy. However, this could benefit newly appointed school leaders as some may not have the sufficient skills to implement the freedoms and autonomy associated with academy schools (Academies commission, 2013). Papanastasiou (2017) research concludes that policy actors construct boundaries which limit the agency of school leaders. Correspondingly, an example of a limited agency is discussed by Salokangas (2014:380) is the notion of ‘earned autonomy’, where higher performing academies have increased autonomy from the academy sponsor. Underachieving schools have an increased presence from private actors, resulting in ‘restricted control’. 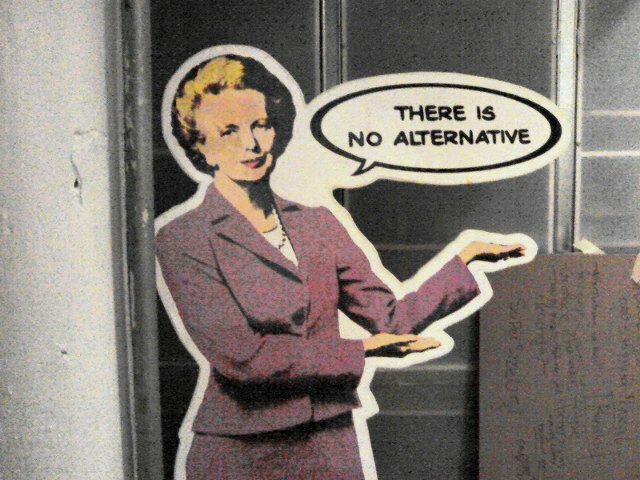 This further magnifies the business like, corporate agenda associated with neoliberalism in education (Gunter, 2010). Schools that are graded either ‘outstanding’ or ‘good’ via Ofsted, are invited or volunteered by the governing body of a school to become a ‘converter’ academy (Jacobson, 2017; Gunter and McGinity, 2014). Converting schools were enticed by the freedom associated with the increased autonomy of academy status and initial financial incentives. Abrams (2012) reports that newly converted academy schools were promised a cash incentive of up to half a million pounds per year by the newly formed Coalition Government. This incentive was cut in 2012. Schools converting into academies have different levels of autonomy dependant on the type of school they were prior to conversion (Machin, 2011). Mcginity’s (2015) single case study of a secondary school undergoing conversion into an academy has confirmed that during the early stages of the academies programme, schools undergoing academisation had more autonomy to manipulate organisational structures in accordance with the 2010 academy act. There are increasing concerns that some converter academies are selecting schools in areas that have a higher social economic status, due to demographic change which could potentially alter the school’s performance. They therefore avoid lower social economic areas such as those which have a high population of social housing, an indicator of poverty (Bhattacharya, 2013; Gorard, 2014; Wermke, 2015; West, 2014; Waldfogel, 2010). Learners from a poor social economic background have lower educational outcomes than those from a more economically privileged background (Lumby, 2016). Thus, avoiding these areas contradicts the sole practical and ideological purpose of academies, namely to close the gap in achievement between average students and those from disadvantaged backgrounds (Purcell, 2011, Francis 2015, Gorard, 2014). This is an unintended consequence of budget cuts, increased autonomy and accountability. This has become a part of the educational discourse, identified within the written submission text under Ulterior motives and risks of social segregation, where some Converter Academies compete for the best students based on achievement (Francis, 2015:441). With the increase in autonomy and accountability, school collaboration is a sustainable alternative to combat issues of social segregation in Sponsored and Converter academies (Keddie, 2015; Higham, 2013). Expanding school networks can reduce the pressures related to autonomy from local competition. At the time of writing, school leaders now have tighter constrained governed autonomy due to national budget cuts in education. The Government has planned to save 600 million pounds from the education service grant, this has been justified by making schools ‘realise their efficiencies’ (DfE, 2015). Higham’s (2013) research highlights that funding cuts are a common challenge in relation to accountability. Consequently, 53% of single academy trusts in England are not making enough money to cover their annual expenditure (DfE 2016e. BBC news, 2017b). DfE (2016e) expenditure report states that contingency funds were available to settle the deposit. However, established academies now must become sustainable, ensuring that the deposit is reduced. Further issues have arisen affecting school leaders of academies, as the Government has withdrawn plans of converting all school into academies (BBC, 2017c). Instead, the Government has a new agenda outlined in the Autumn Statement (H M Treasury, 2016) investing £50 million of funding supporting the controversial expansion of grammar schools to support the gifted and the talented students. The budget cuts in education have resulted in some academies putting in a process of cost saving. Most of the school autonomy in Government policies relates back to finance. An example of this is the manifestation of a procurement plan to manage school funding (DfE, 2016d) which contributes towards a school becoming more efficient and ‘autonomous’. Academies are now pressured to become frugal. This has led to some schools restructuring the curriculum, (leading to the discontinuance of non EBacc subjects), reducing the number of school timetable hours, and in extreme cases, the dismissal of school practitioners (BBC, 2017d. BBC, 2017e). As autonomy is increased, the rate of accountability is also escalated (Keddie, 2015; Salokangas, 2014), resulting in new complications and challenges for schools (Keddie, 2015). Saltman (2014) discusses the neoliberal emphasis of educational outcomes in the United States. Consequently, social segregation and the reduction of the curriculum have occurred during the privatisation of public schools into charter schools. A similar narrative has occurred during the academisation process of secondary schools in England. Since the 2010 Academies Act, educational leaders now have increased accountability through a number of means; rigorous assessment frameworks and inspections (Woods et al, 2014); increased performance management criteria (Salokangas, 2014); increased pupil attainment outcomes to compete with National league tables regulated by inspections via Ofsted (Muijs et al, 2008; Keddie, 2015); and new performance measures with Progress 8 and Attainment 8 metric grading systems and the associated Government attainment benchmarks. These challenges are now normative for academy type schools, as they are required to adhere to the demands of neoliberal performance outcomes (Lumby, 2016) set by the Government (Purcell, 2011). The challenges to boost learner numbers are essential for any academy to maintain a viable position. Government funding for existing academies has been reliant on a school census whilst new academies are based on learner number predictions. Schools are funded with an average allocation of 6000 GBP per student (DfE 2016f; DfE 2017a), which is fundamental for a school to become sustainable. With the increase of autonomy, academies have more control of the admissions. As mentioned earlier, some academies have been targeting pupils from a ‘higher class’ to contribute towards their attainment outcomes, consequently discriminating pupils based on ethnicity and social demographics and thus further contributing towards divisions in society (Lumby, 2016; Keddie 2015). Some schools have gone to extreme lengths to maintain their reputation. The BBC (2017f) have recently reported the outrageous lengths of gross-misconduct through exam malpractice an academy has undertaken to meet the performance measures. It is important for school leaders to adopt a moral standpoint and address areas of social justice and equality throughout the school. It is essential that school leaders are supported by the Government, as school leaders have been discouraged by the increase in workload leading to an increase in resignations. As discussed by Earley (2013), change is inevitable to enable England to compete economically with other nations around the world. Therefore, it is important for schools to become autonomous to both survive rapid change and influence the future of education (Earley; 2013; Stoll et al, 2003). However, autonomy that has been associated with academies has been discursive rather than actual, resulting in little impact on educational outcomes (Keddie, 2015; Glatter, 2012). Being presented with a subsidiary version of autonomy contradicts the true purpose of autonomy and has been used in an ‘exceedingly broad fashion’ (Wermke, 2015:2). Consequently, school leaders have been left dependant on the Government, who are still ultimately responsible in leading educational change. Schools are often left instead with the aftermath of educational change (Harris, 2009). Changes to education need to be substantial and sustainable, not just a ‘fad’ that is implemented through reforms to adhere to a neoliberal regime. If this trend of ‘cycling change for change sake’ continues, it will further justify the claim of Salokangas (2014) that England is a real world educational laboratory. Saltman (2014) and Chapman et al (2008) argue that future educational reforms need to focus on creating a more inclusive environment and both break free from and challenge the accepted norms and legacy of neoliberal ideals. If this strategy is implemented nationally over time this would become normative and redefine local and national discourses (Purcell, 2011). If not, issues relating to social segregation will continue into the next Government and beyond. There is a need for additional research focusing on the impact of ‘Converter’ academisation of an underperforming socially segregated schools, addressing issues relating to school structuring and learner outcomes. BBC news. (2017a). Call to end ban on council-run schools sponsoring academies. Available: http://www.bbc.co.uk/news/education-38919454. Last accessed 22nd Feb 2017. BBC news. (2017b). Half of academies fall short on funding. Available: http://www.bbc.co.uk/news/education-38809574. Last accessed 25th Feb 2017. BBC News. (2017c). Treasury takes back £384m school funding. Available: http://www.bbc.co.uk/news/education-38762243. Last accessed 25th Feb 2017. BBC News. (2017d). Head resigns over school funding crisis. Available: http://www.bbc.co.uk/news/education-39057276. Last accessed 25th Feb 2017. BBC News. (2017e). School days ‘could be shortened’ to save money at seven schools. Available: http://www.bbc.co.uk/news/uk-england-bristol-39055714?intlink_from_url=http://www.bbc.co.uk/news/topics/66fd9b9b-0efa-4254-a7fe-fe39d9c266f5/department-for-education&link_location=live-reporting-story. Last accessed 25th Feb 2017. BBC News. (2017f). Green Spring Academy: Intimidation and exam-fixing claims. Available: http://www.bbc.co.uk/news/uk-england-london-39194587. Last accessed 21st March 2017. Bhattacharya, B. (2013). Academy schools in England. Childhood education, 89(2), pp.94-98. Chapman, C. and Gunter, H. eds., 2008. Radical reforms: Perspectives on an era of educational change. Routledge. Courtney, S.J., 2014. Developing school leaders of diverse school types. Paper presented to the American Educational Research Association conference, 3-7 April, Philadelphia, USA. Courtney, S.J. and Gunter, H.M., (2015a). Get off my bus! School leaders, vision work and the elimination of teachers. International Journal of Leadership in Education, 18(4), pp.395-417. Courtney, S.J., (2015b). Corporatised leadership in English schools. Journal of Educational Administration and History , 47(3), 214-231. Courtney, S.J., (2015c). Mapping school types in England. Oxford Review of Education, 41(6), pp.799-818. Department for Education. (2015). Department for Education’s settlement at the Spending Review 2015. Available: https://www.gov.uk/government/news/department-for-educations-settlement-at-the-spending-review-2015. Last accessed 25th Feb 2017. Department for Education. (2016a). Academies Show 2016: educational excellence everywhere. Available: https://www.gov.uk/government/speeches/academies-show-2016-educational-excellence-everywhere. Last accessed 31st Jan 2016. Department for Education. (2016b). Educational Excellence Everywhere. Available: https://www.gov.uk/government/uploads/system/uploads/attachment_data/file/508447/Educational_Excellence_Everywhere.pdf. Last accessed 31st Jan 2016. Department for Education (2016e). Income and expenditure in academies in England, 2014 to 2015. Available: https://www.gov.uk/government/uploads/system/uploads/attachment_data/file/541051/SFR27_2016_Main_Text.pdf. Last accessed 25th Feb 2017. Department for Education (2016f). School Revenue funding: `current funding arrangements. Available: https://consult.education.gov.uk/funding-policy-unit/schools-national-funding-formula/supporting_documents/Current_funding_system.pdf. Last accessed 10th Dec 2016. Department for Education (2017a). School Revenue funding 2017 to 2018:`Operational guide. Available: https://www.gov.uk/government/uploads/system/uploads/attachment_data/file/590167/Schools_revenue_funding_guide_updated_07_Feb_17.pdf. Last accessed 24th Mar 2017. Department for Education. (2010a). The Importance of Teaching The Schools White Paper 2010 . Available: https://www.gov.uk/government/uploads/system/uploads/attachment_data/file/175429/CM-7980.pdf. Last accessed 11th March 2017. Department for Education. (2016d). Buying for schools. Available: https://www.gov.uk/guidance/buying-for-schools. Last accessed 25th Feb 2017. 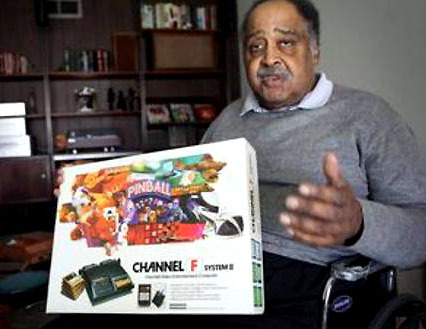 Earley, P., 2013. Leading and managing change: Why is it so hard to do. The Critical Factors in the discourse on SL from the perspective of equity and learning. EPNoSL Project. Education Funding Agency. (2016). Academies financial handbook 2016 For academy members, trustees, accounting officers, chief financial officers and auditors. Available: https://www.gov.uk/government/uploads/system/uploads/attachment_data/file/535870/Academies_Financial_Handbook_2016_final.pdf. Last accessed 4th April 2017. Fidler, B., Russell, S. and Simkins, T. eds., 1997. Choices for self-managing schools: autonomy and accountability. Paul Chapman Educational Publishing. Francis, B., 2015. Impacting policy discourse? An analysis of discourses and rhetorical devices deployed in the case of the Academies Commission. Discourse: studies in the cultural politics of education, 36(3), pp.437-451. Glatter, R., 2012. Persistent preoccupations: The rise and rise of school autonomy and accountability in England. Educational management administration & leadership, 40(5), pp.559-575. Gunter, H.M. and McGinity, R., 2014. The politics of the Academies Programme: natality and pluralism in education policy-making. Research Papers in Education, 29(3), pp.300-314. H M Treasury . (2016). Policy paper: Autumn Statement 2016. Available: https://www.gov.uk/government/publications/autumn-statement-2016-documents/autumn-statement-2016. Last accessed 25th Feb 2017. Harris, A., 2009. Big change question: does politics help or hinder education change?. Journal of Educational Change, 10(1), pp.63-67. Higham, R. and Earley, P., 2013. School Autonomy and Government Control School Leaders’ Views on a Changing Policy Landscape in England. Educational Management Administration & Leadership, 41(6), pp.701-717. HM Government. (2002). Education Act 2002. Available: http://www.legislation.gov.uk/ukpga/2002/32/contents. Last accessed 27th Mar 2017. Keddie, A., 2015. School autonomy, accountability and collaboration: a critical review. Journal of educational administration and history, 47(1), pp.1-17. Lewis, P. and Murphy, R., 2008. New directions in school leadership. School leadership and management, 28(2), pp.127-146. Local Government Association. (2017a). 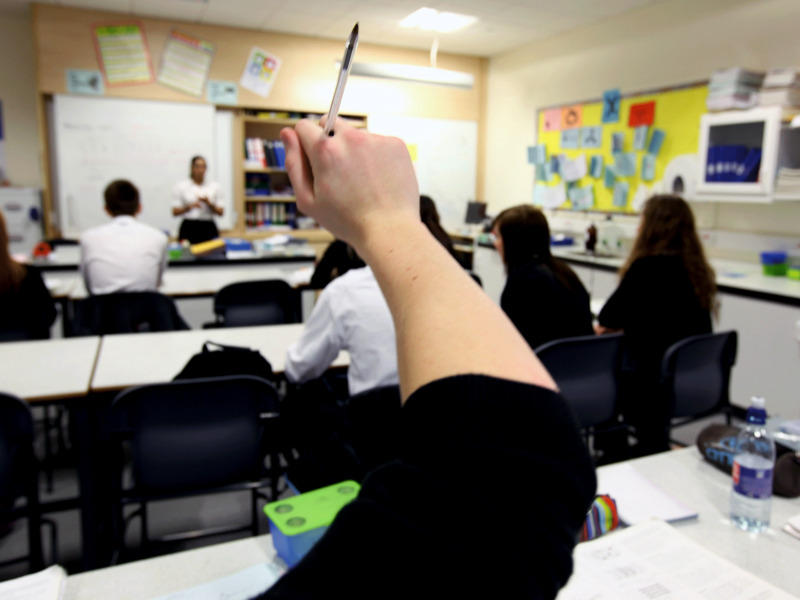 Maintained schools outperforming academies – Time for councils to support failing academies. Available: http://www.local.gov.uk/media-releases/-/journal_content/56/10180/8230765/NEWS. Last accessed 24th Feb 2017. Local Government Association. (2017b). Inspection Statistics: Council Maintained Schools & Academies. Available: http://www.local.gov.uk/documents/10180/11431/Academies+and+LA+maintained+schools+2017.pdf/dd0ad0be-918f-4e38-8a8d-23878276d53a. Last accessed 24th Feb 2017. Lumby, J. and Coleman, M., 2007. Leadership and diversity: Challenging theory and practice in education. 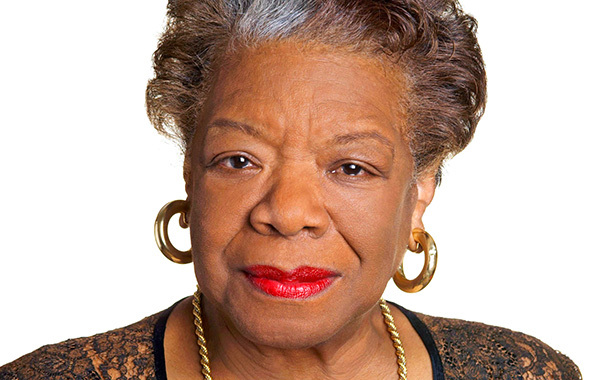 Sage. Machin, S. and Vernoit, J., 2011. Changing School Autonomy: Academy Schools and Their Introduction to England’s Education. CEE DP 123. Centre for the Economics of Education (NJ1). McGinity, R., 2015. Innovation and autonomy at a time of rapid reform: an English case study. Nordic Journal of Studies in Educational Policy, 1(2). Purcell, K., 2011. Discourses of aspiration, opportunity and attainment: promoting and contesting the Academy schools programme. Children’s Geographies, 9(1), pp.49-61. Salokangas, M. and Chapman, C., 2014. Exploring governance in two chains of academy schools: A comparative case study. Educational Management Administration & Leadership, 42(3), pp.372-386. Waldfogel, J. and Washbrook, E.V., 2010. Low income and early cognitive development in the UK. Walford, G., 2014. From city technology colleges to free schools: sponsoring new schools in England. Research papers in education, 29(3), pp.315-329. Wermke, W. and Salokangas, M., 2015. Autonomy in education: theoretical and empirical approaches to a contested concept: Special Issue of Nordic Journal on Studies on Educational Policy, NordSTEP. Woods, P. and Simkins, T., 2014. Understanding the local: Themes and issues in the experience of structural reform in England. Educational Management Administration & Leadership, 42(3), pp.324-340. Barriers and limitations: How are you labelled? BAME? BME? Black Asian Minority Ethnic? BAME is the latest terminology used to summarize ethnic groups in England. The main characteristic that people associated to the BAME group have in common, is that they are non-white British within the UK. Aspinal’s (2002) work on collective terminology is complemented by Richardson (2006). using the label ‘BAME’ could present limitations as the term Minority has connotations of inferiority, whilst the majority, being white people, belong to a single dominant group. 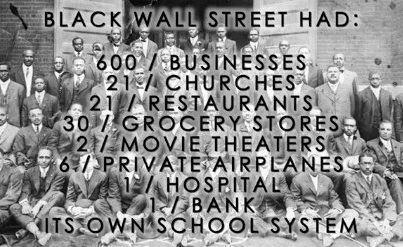 Whilst the use of Black and Asian does not imply that the two ethnic groups belong to a minority. Ethnic grouping does not cater for the individual needs of different ethnic backgrounds. For example, issues of islamophobia is typically directed at Muslims commonly from an Eastern Asian origin may not apply to other ethnic groups within the BAME group. Therefore, issues need to be addressed independently rather than being placed in ‘ethnic groups’ as it fails to cater for particular needs of individual ethnic groups. How does unconscious bias affect you? An example of good practice for encouraging diversity exists at the University of Manchester (University of Manchester, 2016), during the recruitment process they use an Implicit Association Test Beattie (2012), which measures unconscious attitudes to create a fairer employment procedure. A similar system in the secondary education recruitment process would be beneficial to promote quality and diversity. Similarly, the government funded charity, Teach First (2015), has restricted the occurrence of unconscious bias within their own recruitment. Through the ‘Name Blind’ process, a cohort of BAME trainee teachers has increased to 15%. 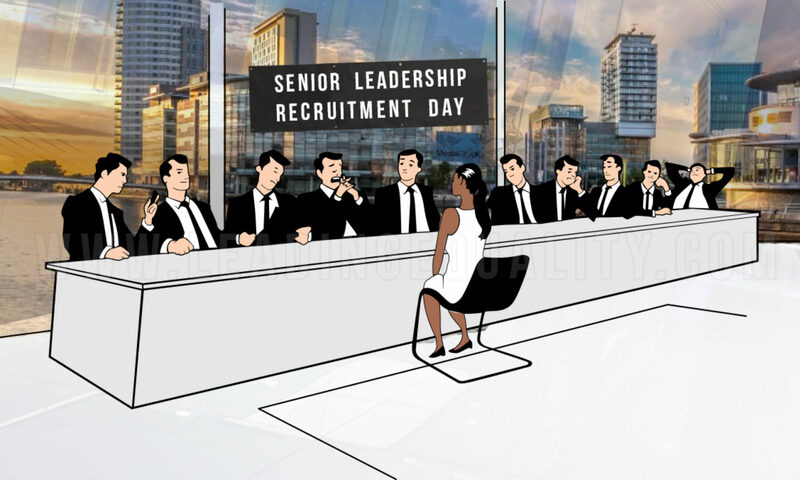 This is evidence that similar ‘nameless’ systems should be considered as policy across the UK workforce as it promotes diversity and reduces discrimination. Interested in Unconscious Bias? Sign up to the upcoming ‘beyond unconscious bias’ event. Seminar of the Critical Discourses in the Academy seminar series on 7th June, 2017 (4-6pm). 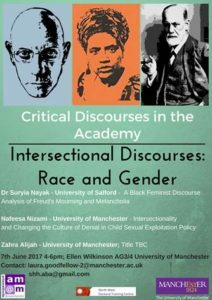 We will be looking at Intersectionality and the need to theorize Race, Gender, Sexuality and Religion together! The seminar will be held in Room AG3/4, Ellen Wilkinson Building, University of Manchester. Further details are in the poster below.